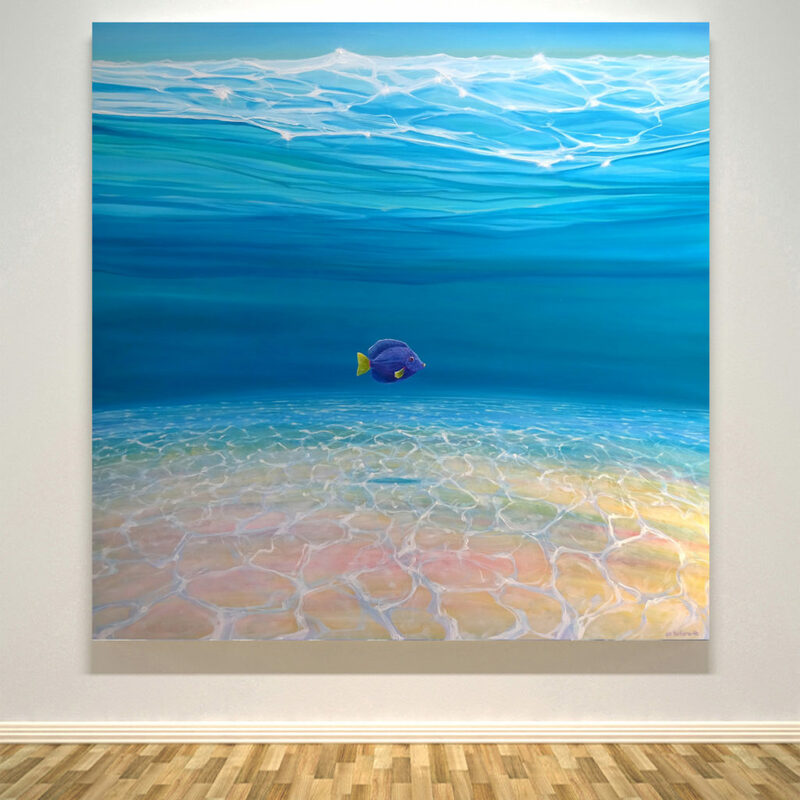 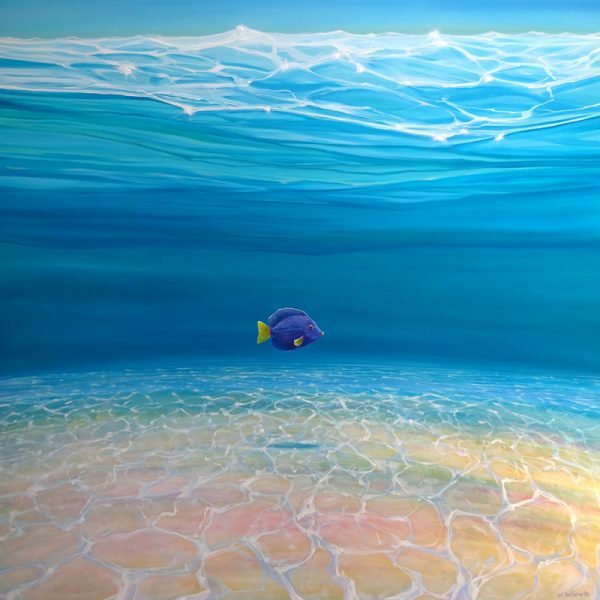 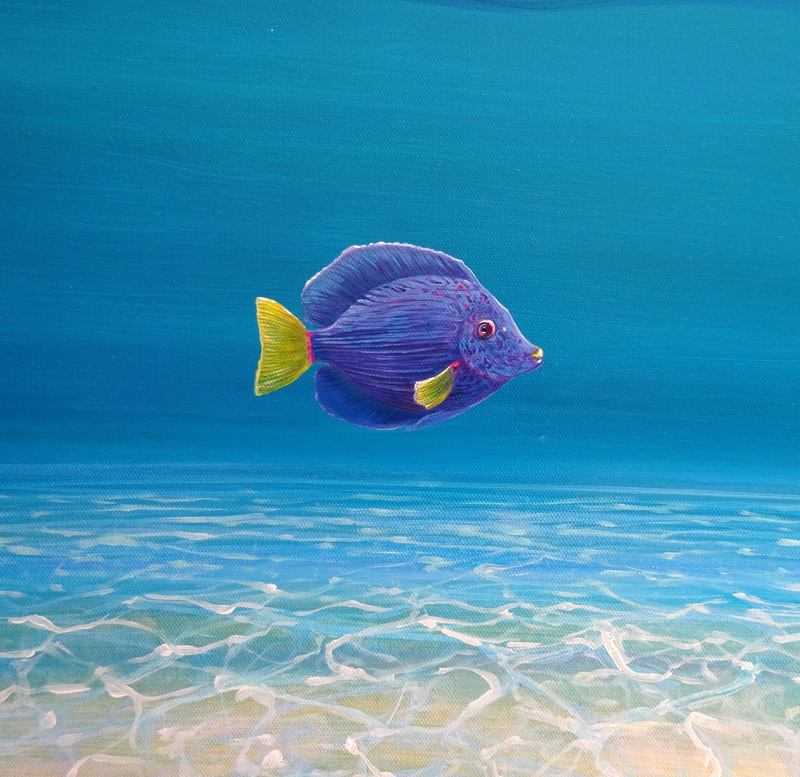 A 40 x 40 x 1.5 inches large original oil painting of a purple and yellow tang tropical fish under a clear aqua and blue sea. The water is crystal clear and turquoise green and blue as a Caribbean tropical ocean is. 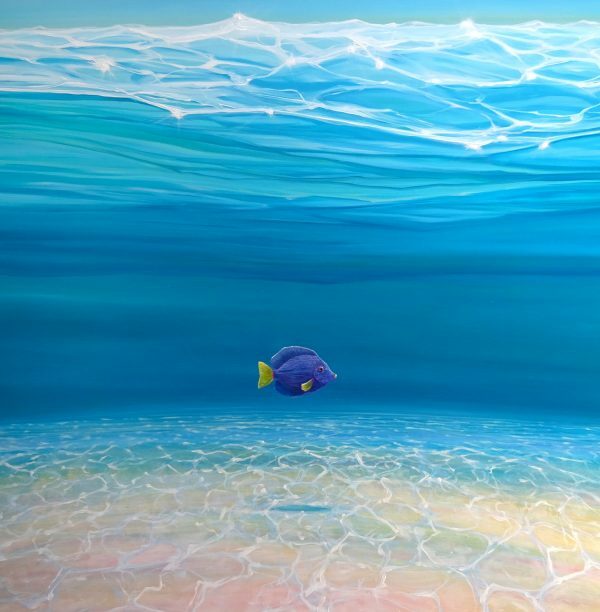 The purple tang swims intent on his destination and around him is a large sea bed of rainbow sand and flicking light that recedes back into the distance until it fades out. 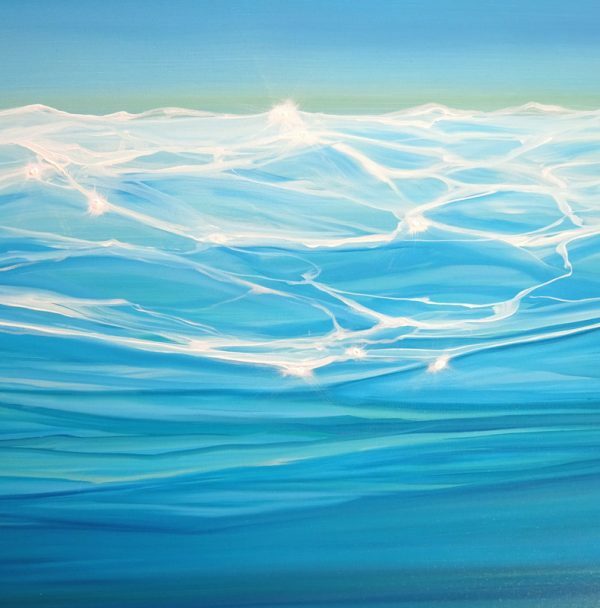 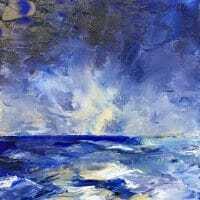 The surface of the water and waves above are sparkling and reflecting fleeting bright light patterns on the sea bed. I like to paint single fish in bag ocean spaces as it give you a sense of space and peace to look at it and is also meant to empower those who feel they are flying solo. 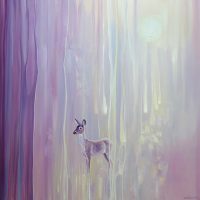 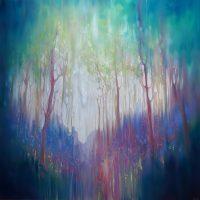 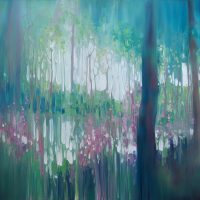 It is good to go your own way and stick to your dreams – especially to those in the arts… Edges are white, no frame needed.